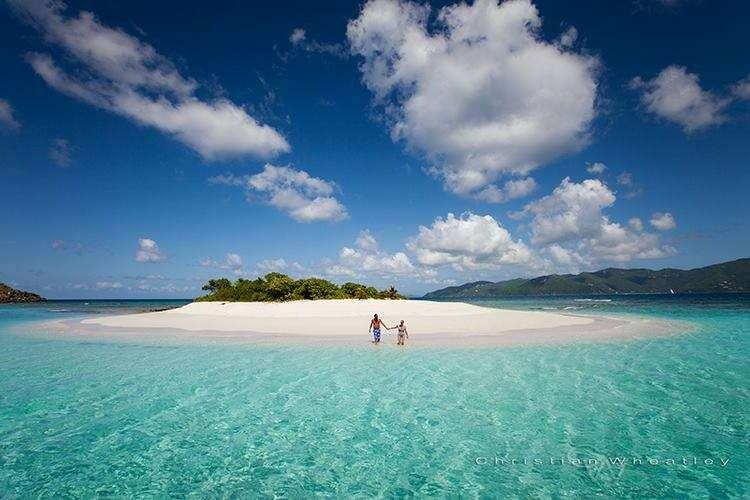 The British Virgin Islands are truly blessed to lay claim to an enchanting little island such as Sandy Spit! Located off the east end of Jost Van Dyke, Sandy Spit is one of the signature stops on your British Virgin Island voyage. 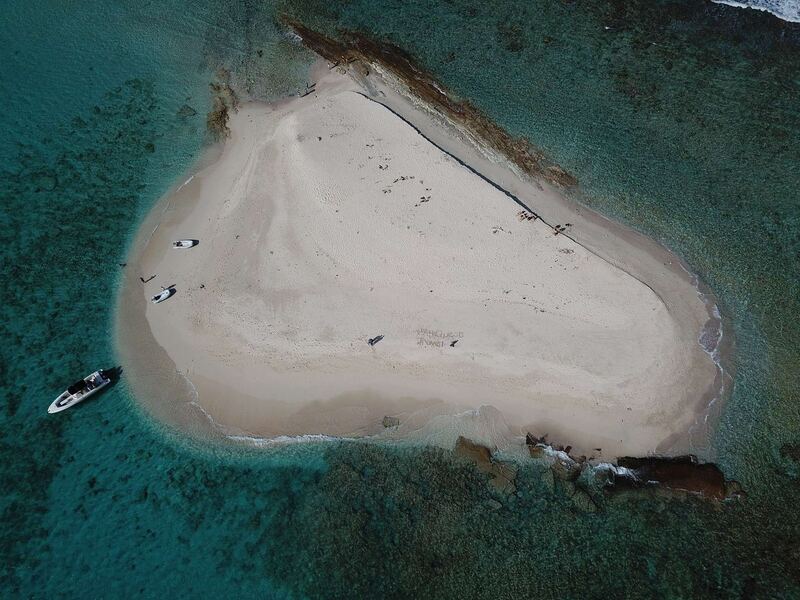 This tiny island’s name is quite literal, a spit of sand in the Caribbean Sea barely 100 yards long and 20 yards wide. Surrounded by a picture perfect, 360° white sand beach, sailors and visitors from all over the world continue to enjoy sunbathing, excellent snorkeling, picnics, and exploring here. Sandy Spit lies immediately south of Green Cay and is within spitting distance of Sandy Cay. This tiny little island lights up the surrounding aquamarine Caribbean Sea like a beacon in the sun. The perfect beach is punctuated by a cluster of rocks with green vegetation and two lonely coconut palms. Although the landscape has changed a bit since Hurrican Irma, Sandy Spit is still a great spot— popular for commercial photo shoots by the likes of Sports Illustrated and Corona— full of beauty and ideal for relaxation. Jump in the water or put your toes in the sand after stopping by Bee Line Bar or White Bay. Bring the family to run around the island and enjoy the sun, and don’t forget your football!